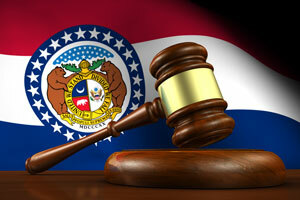 Missouri’s Governor, Jay Nixon, has just vetoed a bill that would have set stricter rules for expert witnesses. The proposed bill, known as SB 591, would have required all of Missouri’s courts, including its probate courts, juvenile courts, and family courts, to follow the federal Daubert standard in determining whether to allow expert testimony. The Daubert standard has been adopted by the federal government and the majority of the states. Under Daubert, the judge plays a gatekeeper role in admitting scientific testimony. This requires that the trial court judge determine that an expert’s testimony is relevant and reliable before allowing that expert to testify. Daubert v. Merrell Dow Pharms., Inc., 509 U.S. 579, 584-587 (1993). An expert’s testimony is relevant under Daubert if it will assist the jury in deciding the case and is based upon sufficient facts or data, is the product of reliable principles and methods, and the expert has applied the principles and methods reliably to the facts of the case. A judge also examines scientific testimony for whether the method can be and has been tested, whether it has been subject to peer review, the error rate, the standards of control, and the degree to which it has been accepted by the scientific community. SB 591 only narrowly passed the House 85-68 in April, with many Republicans voting against the bill. Nixon has stated that this bill would make court proceedings more expensive and would limit recoveries for injured people. It was expected that Governor Nixon would veto the bill. Lawmakers will have a chance to override Nixon’s veto during a short September session. The National Federation of Independent Business, the Missouri Organization of Defense Lawyers, Missouri Prosecuting Attorneys Association, Missouri Petroleum Council, MSCPA, and Missouri Retailers Association are among the supporters of SB 591. The Missouri Association of Trial Attorneys, judges, and labor have voiced opposition to the bill, saying it would cause a court clog.